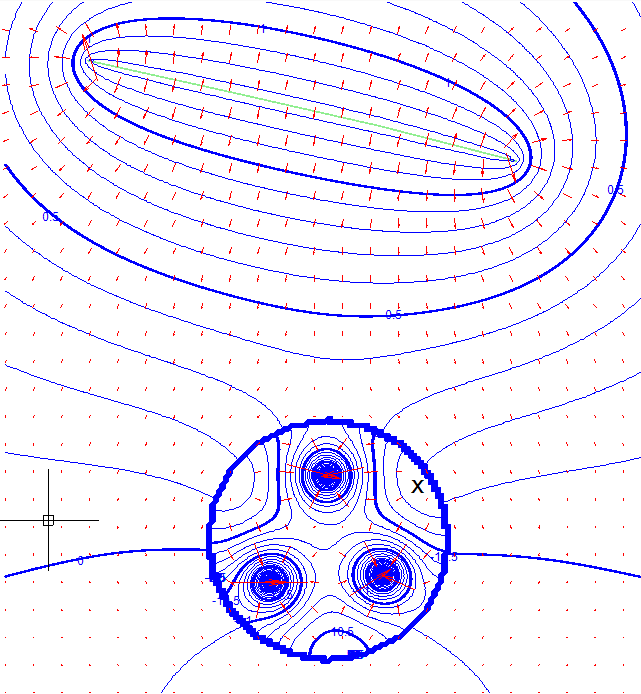 A quick alternative to MODFLOW and other numerical methods for modeling cases that range from simple to moderately complex. 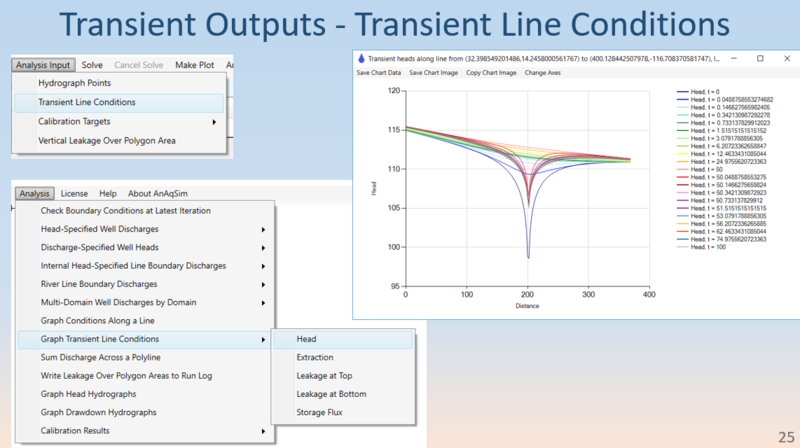 AnAqSim is the most versatile and capable analytic element method software: multi-layer 3D systems, full transient capabilities, heterogeneity, anisotropy, fresh-salt interface aquifers, and a full suite of line boundary types. AnAqSim has been used to simulate groundwater remediation designs, mine and construction dewatering, infiltration mounding, regional aquifer flow, capture zones, well field impacts, fresh/salt interface flow in coastal aquifers, pathlines, advective transport, and embankment seepage. This popular webinar series is back! It was well-attended and well-received when offered in 2018. It covers all key aspects of AnAqSim and helps you become a power user. There is one one-hour session per week for 6 weeks. Each session has segments of presentation, software demonstration, and Q&A, plus optional home exercises. Learn AnAqSim, which is quick, easy to use, and far more capable than other analytic element programs. Details and registration. find optimal well discharges through time to meet dewatering criteria. 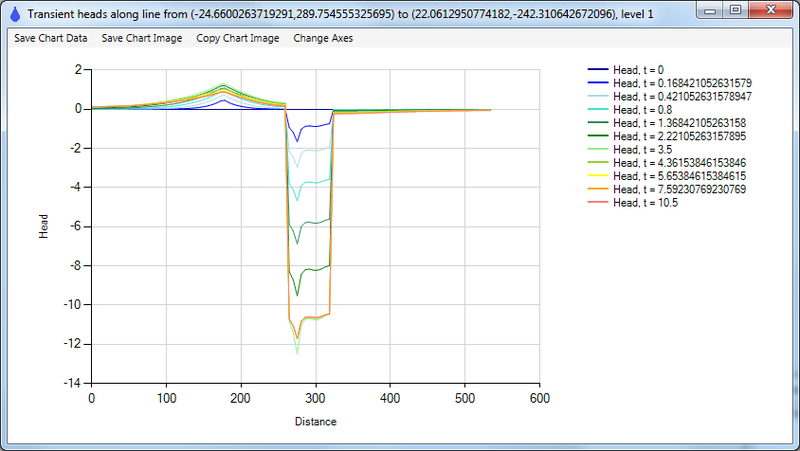 Read more and explore two example PEST runs created by AnAqSim users. Release 2019-1 includes the following new features plus other enhancements and fixes. Please see the release notes for a full list of new features. Many users are solving transient construction and mining dewatering problems with AnAqSim, so we have created an example model to show how to create such models. This model is of a construction dewatering system that includes a partially-penetrating sheet pile barrier, three partially-penetrating wells within the barrier, and a recharge trench outside the barrier where well discharge is injected back into the aquifer. The model has 7 layers in the system area and is transient with two phases of pumping. See the model and its results and download the model files. Dr. Charlie Fitts, author of AnAqSim and the textbook Groundwater Science, 2nd ed., has over 35 years experience with groundwater and geotechnical consulting, and is available for consulting on groundwater modeling projects.